Russian anti-ballistic missile. First Soviet anti-ballistic missile system. Development began in 1956 and the system was tested at Sary Shagan 1960 to 1961. It was clear that enormous development work was needed to achieve an operational anti-ballistic missile system. Therefore work began on the successor A-35 system, although the Americans were led to believe that an operational system was deployed around Moscow. The System A anti-ballistic missile equipped with the V-1000 rocket made the first intercept and destruction in the world using a conventional warhead of an intermediate range ballistic missile warhead coming in at 3 km/s on 4 May 1961. The US did not demonstrate an equivalent capability until 1984. AKA: A (Launch System);ABM-1. Status: Retired 1973. First Launch: 1958-10-16. Last Launch: 1962-11-01. Number: 37 . Gross mass: 8,800 kg (19,400 lb). Height: 14.50 m (47.50 ft). Diameter: 1.00 m (3.20 ft). Apogee: 100 km (60 mi). Central computer system: Lebedev at TsVS. Long-range tracking radar (SDO): two variants were to be developed in parallel by V P Sosulnikov and A L Mintsa at the Radiotechnical Institute of the Academy of Sciences of the USSR. The three guidance radars (RTN), each capable of tracking both an incoming ICBM and outgoing anti-ballistic missile simultaneously: G B Kisunko, with A L Mintsa. Missile launcher: I I Ivanov. In March 1956 KB-1 completed the draft project for System A. A decree of 17 August 1956 authorized construction of the first anti-ballistic missile site -Area A'. This was to be 250 km from the train station of Sary Shagan near Lake Baikal in the Bet-pak-Dala Desert. Colonel A A Gubako was in charge of the site. Work began on 3 July 1956 and by the beginning of 1957 it was ready for equipment installation. Within three years Area A was in use for trials of dozens of military systems. The radars required for the anti-ballistic missile systems were 100 times larger than existing surface-to-air missile radars, and generated 10 million times more energy. They required encrypted communications lines between the radar and the guidance system computers. The computers themselves had to be capable of 40,000 operations per second. In 1958 the anti-ballistic missile tracking station Dunai-2 went into operation on the shores of Lake Baikal. The 1200 km range radar was put into immediate use to track the first test flights of the V-1000, the launchers for which were located at a site 100 km west of Lake Baikal. The three RTN tracking radars were located in the Bet-pak-Dala Desert, in a line 100 to 250 km from the shore of Lake Baikal. These provided the data to triangulate the location of the target to within 5 km at a range of 150 km. The RTN's parabolic antennae had a tracking range of 700 km. Once a target was localized, the V-1000 missile launcher was slewed to the azimuth and angle to the intercept point calculated by the RSVPR. The RTN sent the launch command to the anti-ballistic missile when the incoming warhead reached the intercept position. In February 1959 KB-1 was reorganized to concentrate on development of an anti-ballistic missile system. SKB-30, under G B Kisunko, would develop the anti-ballistic missile; SKB-31, under Raspletin, would continue surface-to-air missile development, and SKB-41, under A A Kolosov, would develop the aviation systems of the rocket forces. On 25? December the second stage of the V-1000 failed to ignite. On 30 December a sixth attempt was planned, but the launches of both the R-5 and V-1000 were scrubbed when the long-range radar couldn't come on line. 1961 began with another string of failures (5 further launches were planned in the first test series). A variety of warheads were wasted in attempting to destroy the incoming missiles. Once, manually, and twice, automatically, the missile made a more-or-less successful intercept. But this was followed by three failures, indicating a great amount of time and effort were needed to develop the intercept method. On 4 March 1961 the V-1000 achieved a world first - the destruction of the re-entry vehicle of an R-12 IRBM. This was followed by the destruction of an R-5 re-entry vehicle. In all, there were 11 launches with military warheads, plus launches of developmental warheads. The S2TA variant used an infrared-homing self-guiding high-explosive warhead and was designed by Storozhenko at the GOI State Optical Institute in Leningrad. It was capable not only of determining the moment for warhead detonation, but also was capable of guiding the anti-ballistic missile independently using an on-board computer. The R2TA version used a radio-guided explosive warhead, with two types of proximity fuses used to determine the correct moment for warhead detonation. These were the G2TA, a radio ranging system, developed by Bondarenko and an optical system, developed by Emdin at GOI. Flight tests of the V-1000 with a nuclear warhead designed at Chelyabinsk-70 were also carried out. As the anti-ballistic missile system reached maturity, a range of anti-ballistic missile countermeasures deployed by the incoming missiles challenged it. These included Verba (inflated decoy warheads); Kaktus (an anti-radar system that generated false targets on the anti-ballistic missile system radars); and Krot (an active jammer). Operation K (including live nuclear-armed target and interceptor missile exercises K1 through K5) tested the effects of nuclear explosions at altitudes of 80 to 300 km on the ability of the anti-ballistic missile system to function. System A demonstrated its ability to continue operation despite the nuclear detonations, although the tests were primarily conducted to obtain scientific data for the design of the next generation of anti-ballistic missiles. At the end of 1961 KB-1 and SKB-30 were transferred to OKB-301 and dedicated to full-time anti-ballistic missile work. In 1966 the developers of System A received the Lenin Prize for their work. Radars: Dunai 2 early warning radar, RE-1 early warning radar, RE-2 and RE-3 target tracking radars. Maximum range: 300 km (180 mi). Boost Propulsion: Solid rocket. Cruise Thrust: 102.900 kN (23,133 lbf). Cruise Thrust: 10,500 kgf. Cruise engine: S2.726. Maximum speed: 3,600 kph (2,200 mph). Family: anti-ballistic. Country: Russia. Engines: S2.1100. Propellants: Solid. Launch Sites: Sary Shagan, Sary Shagan LC6. Stages: V-1000-1, PRD-33. Agency: Grushin, Novator, Vympel. Bibliography: 2, 563, 571, 8748. 1958 October 16 - . Launch Site: Sary Shagan. Launch Complex: Sary Shagan LC6. Launch Vehicle: V-1000. State trials missile test - . Nation: Russia. Agency: PKO. Apogee: 15 km (9 mi). 1960 - . Launch Site: Sary Shagan. Launch Complex: Sary Shagan LC6. Launch Vehicle: V-1000. State trials missile test - . Nation: Russia. Agency: PKO. Apogee: 20 km (12 mi). 1960 May 12 - . Launch Site: Sary Shagan. Launch Complex: Sary Shagan LC6. Launch Vehicle: V-1000. FAILURE: Failure. State trials missile test - . Nation: Russia. Agency: PKO. Apogee: 10 km (6 mi). 1960 November 24 - . Launch Site: Sary Shagan. Launch Complex: Sary Shagan LC6. Launch Vehicle: V-1000. State trials missile test - . Nation: Russia. Agency: PKO. Apogee: 25 km (15 mi). 1960 December 10 - . Launch Site: Sary Shagan. Launch Complex: Sary Shagan LC6. Launch Vehicle: V-1000. FAILURE: Failure. ABM test - . Nation: Russia. Agency: PKO. Apogee: 10 km (6 mi). 1960 December 23 - . Launch Site: Sary Shagan. Launch Complex: Sary Shagan LC6. 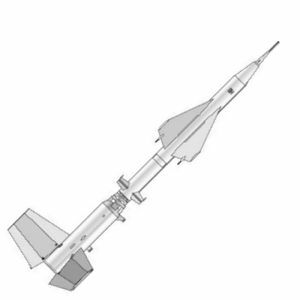 Launch Vehicle: V-1000. FAILURE: Failure. 1960 December 31 - . Launch Site: Sary Shagan. Launch Complex: Sary Shagan LC6. Launch Vehicle: V-1000. FAILURE: Failure. 1961 - . Launch Site: Sary Shagan. Launch Complex: Sary Shagan LC6. Launch Vehicle: V-1000. ABM test - . Nation: Russia. Agency: PKO. Apogee: 25 km (15 mi). 1961 January 13 - . Launch Site: Sary Shagan. Launch Complex: Sary Shagan LC6. Launch Vehicle: V-1000. FAILURE: Failure. 1961 January 14 - . Launch Site: Sary Shagan. Launch Complex: Sary Shagan LC6. Launch Vehicle: V-1000. 1961 February 18 - . Launch Site: Sary Shagan. Launch Complex: Sary Shagan LC6. Launch Vehicle: V-1000. 1961 February 22 - . Launch Site: Sary Shagan. Launch Complex: Sary Shagan LC6. Launch Vehicle: V-1000. 1961 March 2 - . Launch Site: Sary Shagan. Launch Complex: Sary Shagan LC6. Launch Vehicle: V-1000. 1961 March 4 - . Launch Site: Sary Shagan. Launch Complex: Sary Shagan LC6. Launch Vehicle: V-1000. R-12 Intercept ABM test - . Nation: Russia. Agency: PKO. Apogee: 25 km (15 mi). 1961 March 26 - . Launch Site: Sary Shagan. Launch Complex: Sary Shagan LC6. Launch Vehicle: V-1000. 1961 June 9 - . Launch Site: Sary Shagan. Launch Complex: Sary Shagan LC6. Launch Vehicle: V-1000. 1961 October 27 - . Launch Site: Sary Shagan. Launch Complex: Sary Shagan LC6. Launch Vehicle: V-1000. Op K-2 ABM test - . Nation: Russia. Agency: PKO. Apogee: 25 km (15 mi). Op K-1 ABM test - . Nation: Russia. Agency: PKO. Apogee: 25 km (15 mi). 1962 October 22 - . Launch Site: Sary Shagan. Launch Complex: Sary Shagan LC6. Launch Vehicle: V-1000. Operation K-3 ABM test - . Nation: Russia. Agency: PKO. Apogee: 25 km (15 mi). 1962 October 28 - . Launch Site: Sary Shagan. Launch Complex: Sary Shagan LC6. Launch Vehicle: V-1000. Operation K-4 ABM test - . Nation: Russia. Agency: PKO. Apogee: 25 km (15 mi). 1962 November 1 - . Launch Site: Sary Shagan. Launch Complex: Sary Shagan LC6. Launch Vehicle: V-1000. Operation K-5 ABM test - . Nation: Russia. Agency: PKO. Apogee: 25 km (15 mi). 1966 October 13 - . Launch Site: Kapustin Yar. Launch Complex: Kapustin Yar V-2. LV Family: V-1000. Launch Vehicle: 1Ya2TA. Yantar'-1 Technology / ionosphere mission - . Nation: Russia. Agency: AN. Type: ABM. Apogee: 400 km (240 mi). 1968? - . Launch Site: Kapustin Yar. LV Family: V-1000. Launch Vehicle: 1Ya2TA. Yantar'-2 - . Nation: Russia. Agency: AN. Type: ABM. Apogee: 400 km (240 mi). 1969? - . Launch Site: Kapustin Yar. LV Family: V-1000. Launch Vehicle: 1Ya2TA. Yantar'-3 - . Nation: Russia. Agency: AN. Type: ABM. Apogee: 400 km (240 mi). 1969 Oct - . Launch Site: Kapustin Yar. LV Family: V-1000. Launch Vehicle: 1Ya2TA. Ion 1 - . Nation: Russia. Agency: AN. Type: ABM. Apogee: 400 km (240 mi). 1970 Aug - . Launch Site: Kapustin Yar. LV Family: V-1000. Launch Vehicle: 1Ya2TA. Ion 2 - . Nation: Russia. Agency: AN. Type: ABM. Apogee: 400 km (240 mi). 1971 - . Launch Site: Kapustin Yar. LV Family: V-1000. Launch Vehicle: 1Ya2TA. Yantar'-4 - . Nation: Russia. Agency: AN. Type: ABM. Apogee: 400 km (240 mi).